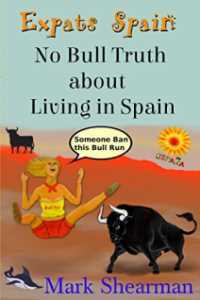 This is the go-to book if you are thinking about moving to Spain, covering those questions which will crop up and often, yet suspiciously, remain unanswered. Mark Shearman moved to Spain in 2002 with his partner and four-year-old daughter. His observations are from a successful building contractor, owner of an estate agency and journalist. 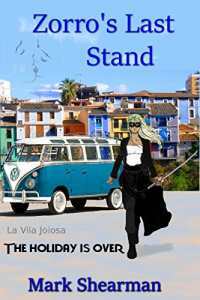 Reading Flip Flop Flamenco, Mark's novel about a shaming debt collector will also give you a flavour of what it is like to live as an expat on the Costa Blanca. Zorro’s Last Stand follows the story of a man who chases his past to a drowsy Spanish fishing village. His search for the truth ends in a raucous gun battle between thirty ships, while the majority of the pueblo remains positioned on the beach, defending an ancient tradition. In the fray, a bunch of dysfunctional expats fight to keep their dreams of living in the sun alive. “What a book! Mark Shearman has the ex-pat community in the Costa Blanca down to a T. I lived four years in the Algarve and it’s very true that you find yourself mixing with people you would never look twice at back home. For my own part I recall The Munchkins (he went to jail for poisoning her), Timeshare Joe, Kevin the Murderer, and a whole host of the most unusual characters you could hope to meet. And Mark Shearman picks up on this theme with ease. They’re not so much real characters, just bizarre, offbeat people, yet surprisingly unnoteworthy. The riff-raff and the hoi polio mix with ease. They meet in the same bar and sit on the same stools they’ve been sitting on for years. And without exception they are all liars. They all have their stories to tell, yet they never share the real one. Their clothes are now the same, their histories are different and, like all ex-pats the world over, they’re a melting pot of offbeat coarse comedy. In Shearman’s book we meet the protagonist, Danny, who to put it bluntly, just ain’t right. And yet as the story progresses we soon get to realise that a) he fits in perfectly and despite the fact that he runs around debt-collecting in Zorro outfits, no one thinks him strange, and b) compared to everyone else he’s as sane as the Speaker in the House of Lords. The characters just keep coming at you, and it’s a measure of Shearman’s genius and wit that they’re as divergent as it’s possible to be. We have the beautiful Charlotte with the sumptuous breasts and perennial suntan, who once represented her country at martial arts in the Olympics, and the English prostitute, Gena, playing Russian roulette with her body. Danny recalls better days for Gena when he spent time with her and her husband, Jack, bar-b-queuing, laughing and drinking.